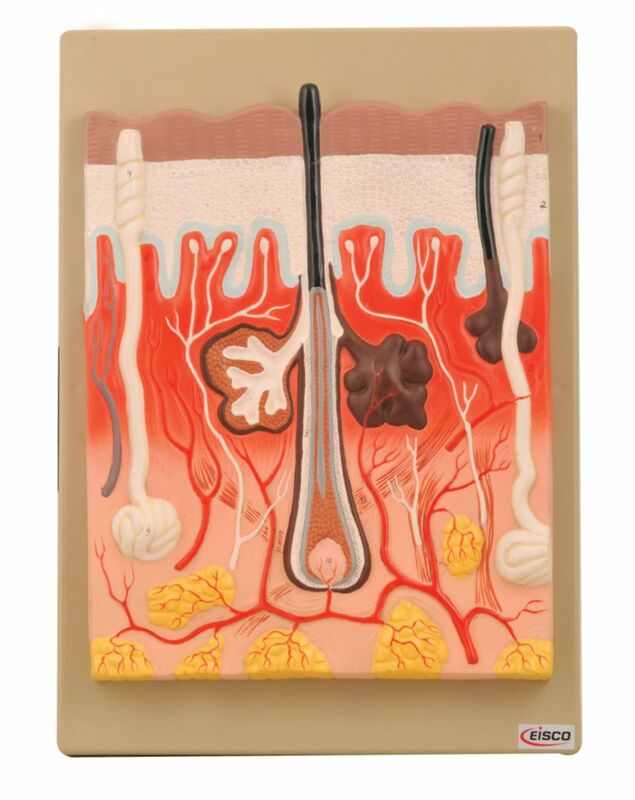 This unique skin model shows three layers of skin. 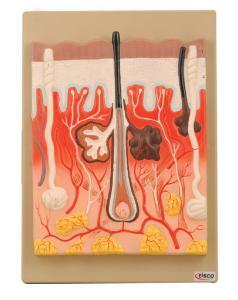 It also displays sebaceous and sweet glands, the hair follicles, erector muscles, arteries, nerves, and veins. A reference key is included.